· metal structure assemblies such as the cockpit, the nose fairing and the nose landing gear compartment with the use of aluminium, aluminium-lithium or titanium for some major frames. · composite elements such as the lower shell, the main components of the Section 12 including the doors for passenger boarding and the nose landing gear doors. 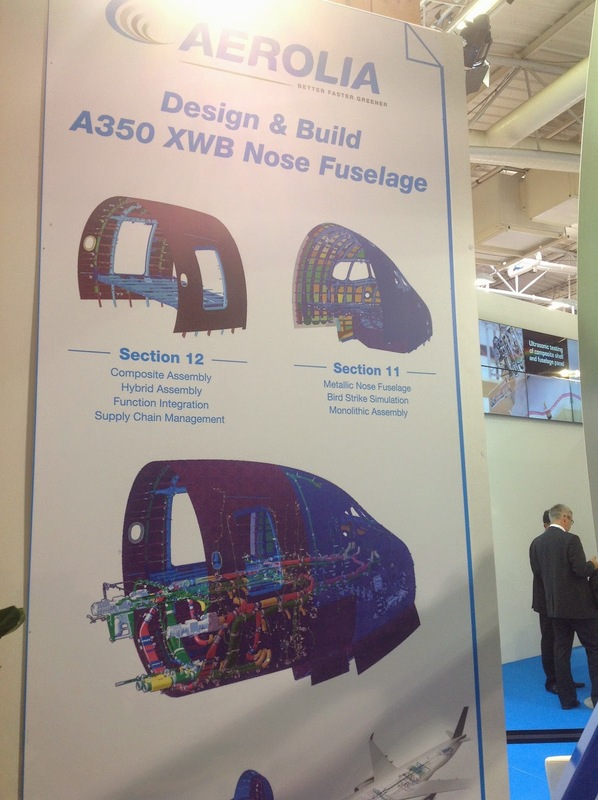 · for the systems, hydraulic, oxygen, clean and waste water and vacuum piping equipping the nose section and the whole fuselage. "More than 2,700 drawings for the primary structure and 3,200 drawings for fixed brackets have been released by the Design Office of Aerolia in Toulouse for the design of this nose section, as well as 2,500 drawings for the design of the systems facilities (hydraulic, interior fitting) equipping the whole fuselage and for their installation by the Design Office. On sites, “220 million euros have been invested in these industrial sites", pointed out Alain Tropis, COO Development since last February. He is responsible for engineering and A350 XWB (with Nathalie Chieusse, Head of Aerolia A350 XWB) as well as the Group R&D. Alain Tropis, 51 years old, comes from Airbus where he was Senior Vice President in charge of the Structure Centre of Competence. · a metal front Section with large double-curvature window frames and 9 mechanically machined panels. · a door frame upper shell and a lower shell, both of them made of composite with titanium fittings that benefit from the solutions adapted to the requirements of this type of structure in order to optimize the weight and in-service operating conditions. · a metal nose landing gear compartment and the aircraft composite lower shell are two elements that are highly subjected to stresses upon taking-off and landing. · piping designed and manufactured by Aerolia Design Office and the Systems production site in Saint-Nazaire. These pipes equipping all the fuselage sections represent 1.5 km per aircraft. To support the industrial approach, Aerolia also delivers 14,500 elementary parts per aircraft in addition to the 6,500 required for the nose section. 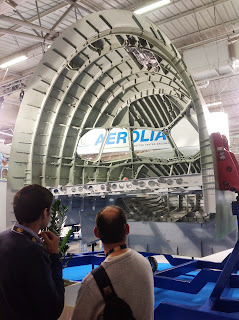 Aerolia CEO Christian Cornille defines his Company as “Super Tier One in aerostructures and systems at international level”. 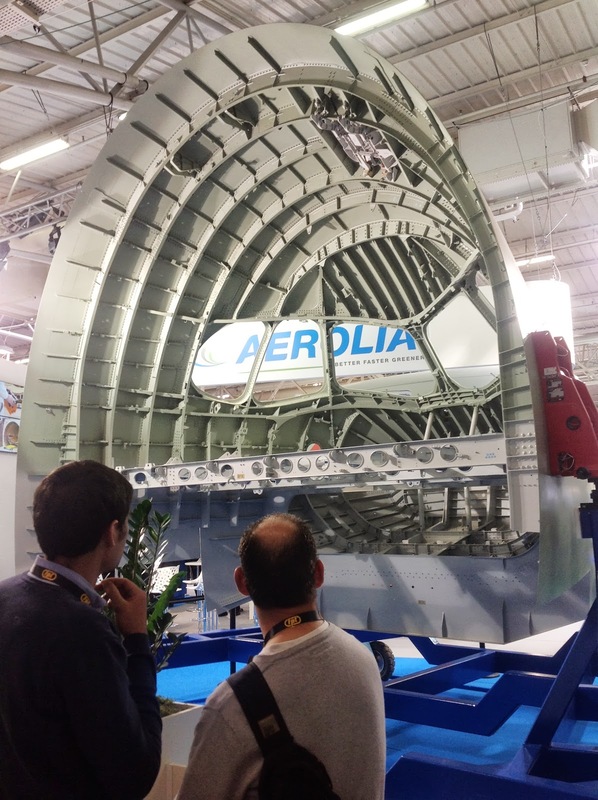 "Aerolia has fulfilled its commitments and has thereby shown its ability to meet the requirements of its Customer Airbus for this new aircraft combining composites and metals. Beyond this exceptional performance to which we pay tribute today, the A350 XWB proves that the international market can trust Aerolia in its full ability to establish a high-performing industry open to the world...", concluded Christian Cornille. 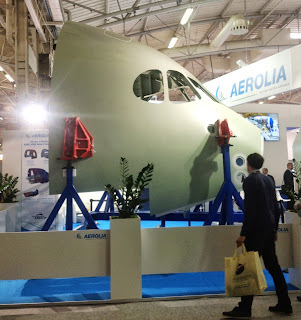 The information about A350 XWB is really interesting for everyone which is shown by Aerolia. It's really a good source to get knowledge about the design of the plane.